SEOUL, July 29 — South Korean rapper Yoon Mi-rae has teamed up with a German DJ for her new single coming out this week, her agency said Wednesday. “We expect Yoon to show what an ’empress of hip hop’ sounds like in this collaboration single,” Feel Ghood Music said in a statement. “Capture the City” tells listeners to look at their cities from a new perspective by mixing noises heard around Seoul, according to the agency. 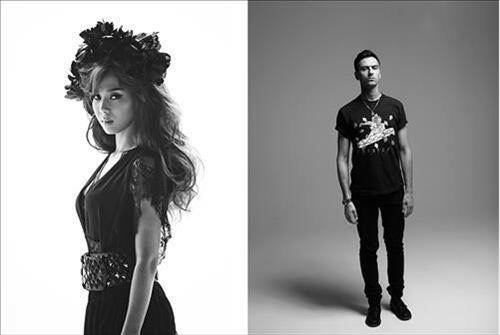 YoonMiRae has been recognized as a “diamond in the rough” by the U.S. music website MTV Iggy. She also made the top 12 female rappers list by the same website in 2011. The single will be released 07/31. Happy birthday to boss man, TigerJK! About a month ago, Tiger JK released his single, “Nice To See You Again (Forever),” which was a tribute to his loyal fans. So, for this year’s birthday, we at DT INTL wanted to return that gift back to him and reenact his music video. There are some guest appearances that many will be surprised to see. Thank you to all the people who helped make this gift possible.